He was born in Italy in 1990. He received the Master’s degree in 2014 in Energy Engineering from the University of Bologna and then got the Ph. D. in 2018 from the Department of Industrial Engineering in the field of Industrial Applications of Plasmas. 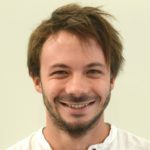 From 2018 he is post-doc researcher at the University of Bologna.